Home › Projects › Simple Solar installations. 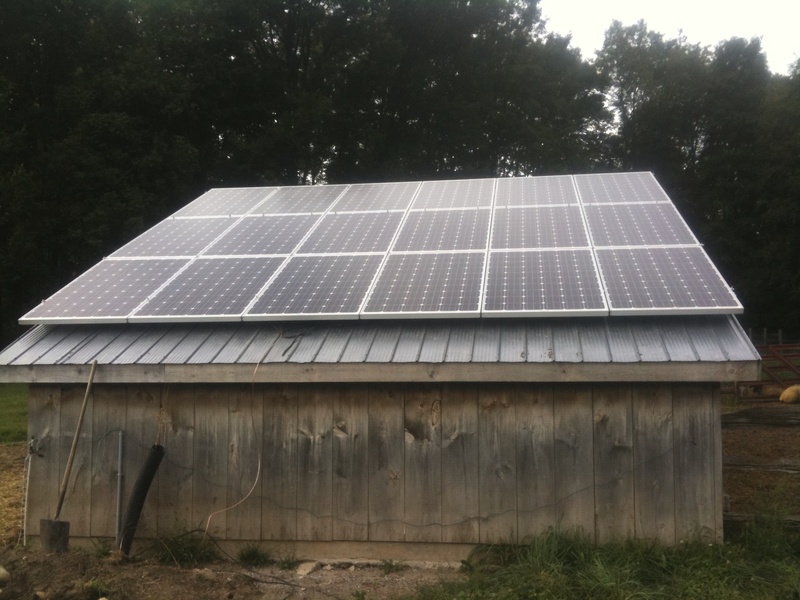 Installing a simply solar system. System sometimes get busy or complicated. Different roofs lend themselves to solar panels better then others. Shed 18 panel solar system. Click to enlarge. Here is a straight forward system. A 18 panel Microfit system outside of Hepworth. This system as of March 15′ would cost about $20,000 and produce $1,730 per year. Back when it was installed the price per kilowatt was much higher. This system pays back $3,600 per year.